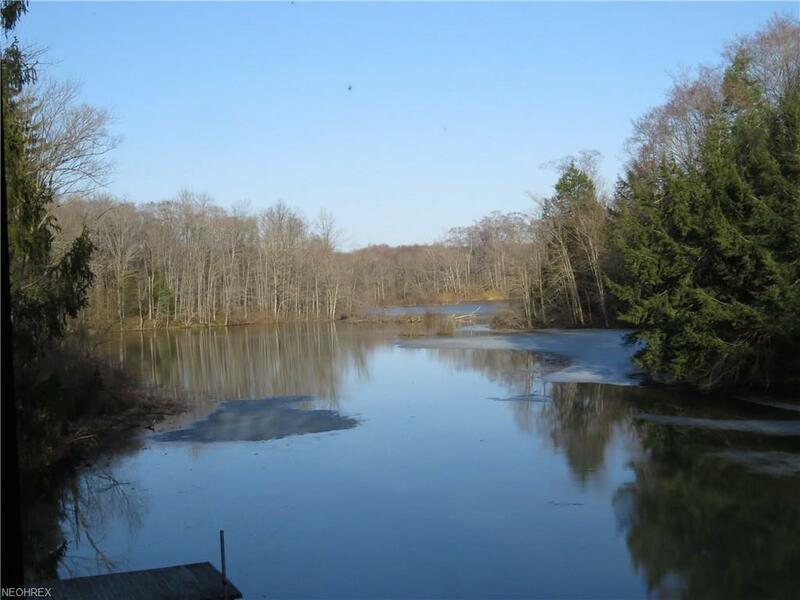 A secluded, private estate situated on 118 acres encircling a large, meandering lake. 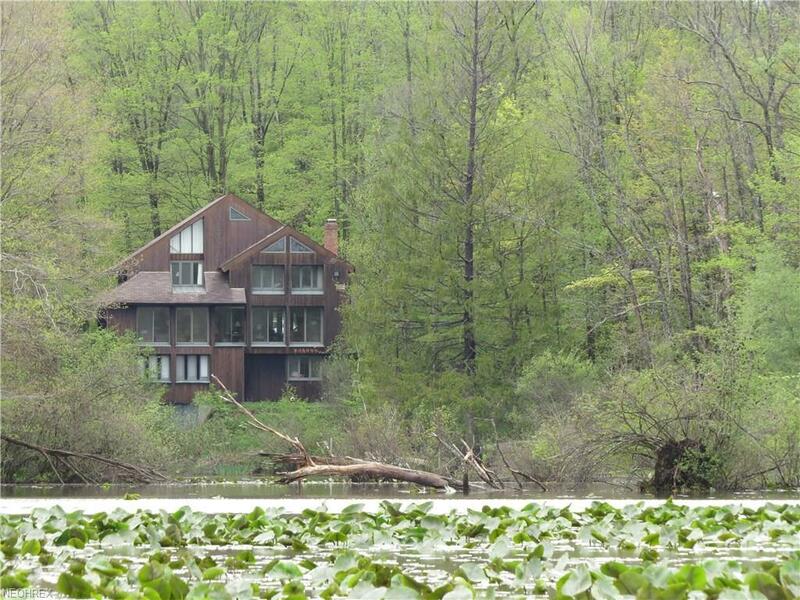 A lodge style, lakeside home is strategically situated to capture incredible views from every direction - post and beam construction with contemporary flair while offering four bedrooms, two bathrooms, a walk-out lower level and wrap around decking. The detached, three car garage has been expanded to include an upper level apartment providing lodging for visiting guests. The lake empties into a stream that winds through deep geological formations with caves, canyons and glacier rocks while feeding one of the headwaters of the Cuyahoga River! 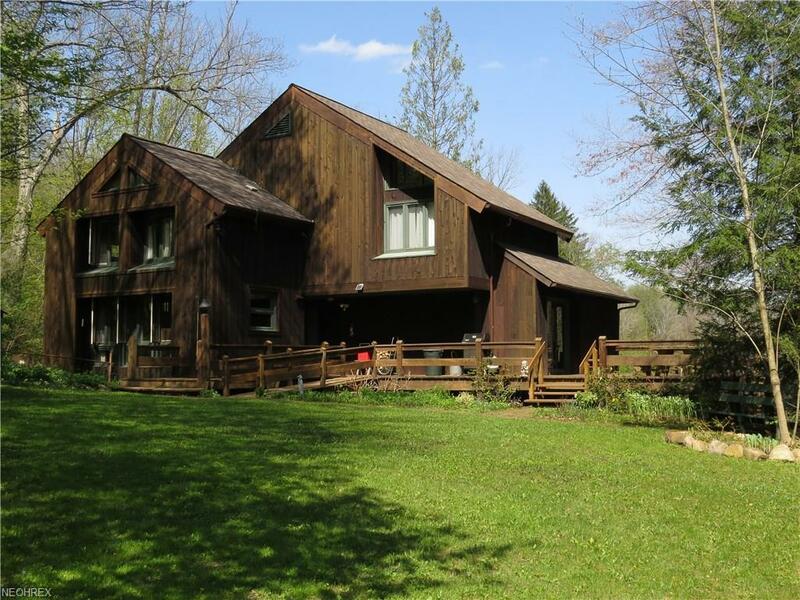 Mature woods abound with wildlife, including resident and migratory birds, wildfowl, beaver, deer, turkey, ... Nature trails, falling water, bridging and even a rustic cabin with wood stove. Situated in Claridon & Huntsburg Townships with 4 separate permanent parcels and frontage on three roads. North of Mayfield Rd. 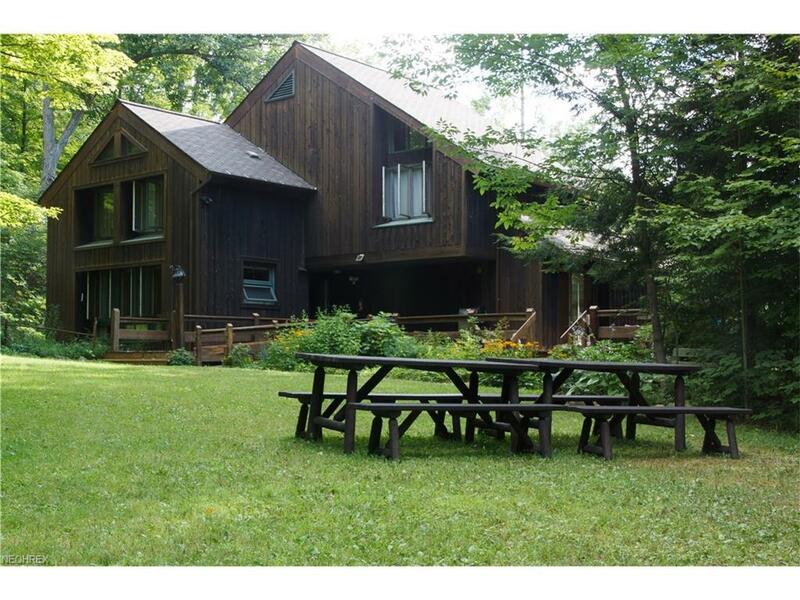 (State Route 322), approximately 8 miles from Chardon Village and 35 miles from Cleveland. An extraordinary retreat under the same family ownership since 1935!